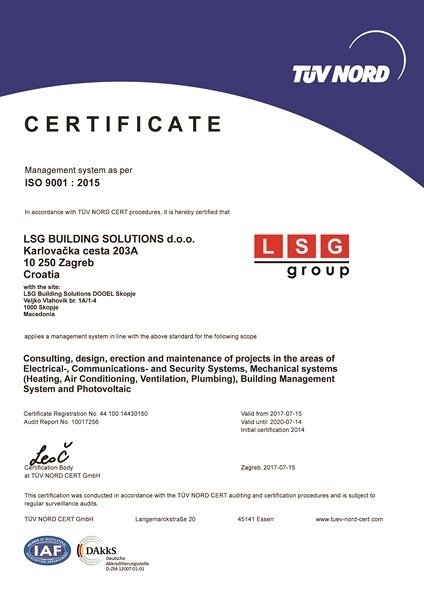 With new certifications and the existing OHSAS 18001 certification proving that LSG Building Solutions d.o.o. takes care of and constantly improves the quality management system, above all the health and environment of its employees in the workplace. 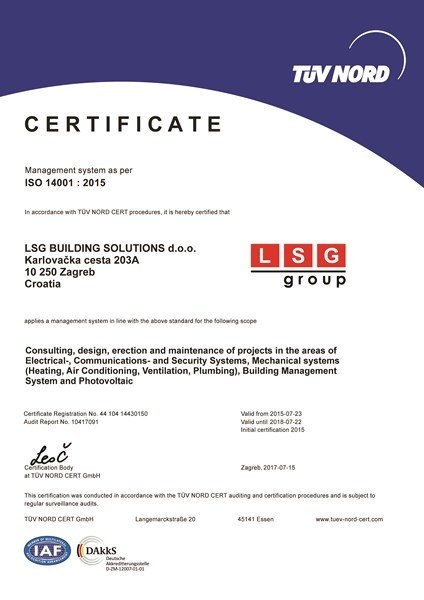 The certificates are still related to the key business activities: Consulting, designing, execution and maintaining projects in the field of electrical installations, communication and security systems, mechanical systems (heating, cooling, ventilation, water supply and sewerage), building management systems and photovoltaic systems.